Rajasthan government has on Tuesday removed as many as 199 mobile towers installed atop school buildings in the state affecting mobile services in 40 towns. The mobile towers ' title=' mobile towers '>mobile towers have been shut down in the state to comply with a court order in this regard. All the 199 towers having antennas of cellular companies which were installed on schools' buildings stopped radiating signals after 9 pm on Monday night. At least 34 lakh mobile customers, including 25 lakh in Jaipur, have been affected by the act. "The services of cellular companies are affected and it will take around 30-90 days to restore the full services in affected areas," Sudipto Chowdhary, CEO, Rajasthan, Bharti Airtel, told reporters in Jaipur. 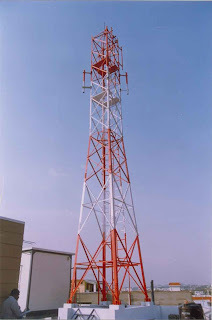 As per the order dated August 22, 2012 passed by Rajasthan High Court and a letter by State Education department, mobile operators were required to remove all mobile towersand antennas installed on government and private schools.